I have been to a few Maker Faires — most of them while working for SparkFun, which usually amounts to manning a booth, meeting with other makers and checking out all of the new technology and projects that people bring to show off. But before I worked for SparkFun, I was a middle school technology teacher, and my first Maker Faire was in Portland, Oregon. In fact, it was the first Portland Maker Faire! After being to a few of them and also watching how other people experience them, I thought I would write a quick guide for you, an educator, to get the most out of a Maker Faire, drawing lessons to help shape your classroom and your practice. 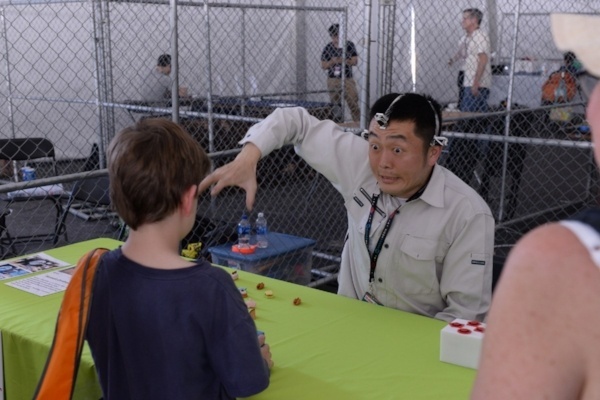 Think of Maker Faire as an R&D project with a little whimsy mixed in. This was by far the biggest forehead slapper for me. Most Maker Faires are bookended by a number of peripheral events, parties, summits, etc. More and more of these smaller events are specifically targeted to educators. A great one to always look for is a Maker Ed meetup. These usually have workshops and professional development opportunities for you to get hands-on training and experience with different technologies and classroom techniques for teaching STEAM subjects with a maker angle. This was one that took me awhile to get. 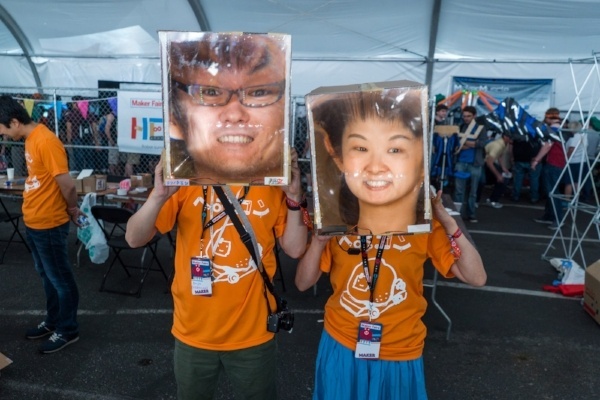 Maker Faire is best experienced with friends and coworkers. If you can, go in a group of three or more — the best mix would be a group of three people consisting of a teacher, an administrator and an IT person from your school district. A good fourth would be an interested parent. Why travel in a pack? Well, you all know your students and probably have similar visions for how you want to bring the maker culture into your school. For administrators, Maker Faire makes all of this stuff real and inspires those who may be on the fence about the whole “Maker Thing.” For IT…they will just geek out. Maker Faire is not only a place to bring things to show, but also for really smart and creative people to tell about their experience, ideas and projects. Think of it as a poor man's TED conference. 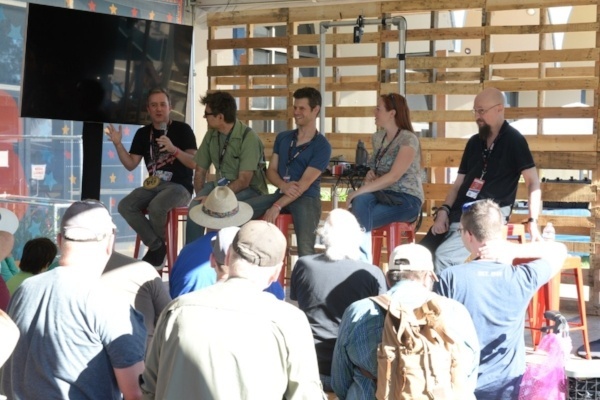 Most Maker Faires will have a handful of premier experts in their respective fields…go and listen to what they have to say! There is also a plethora of local speakers that share what they are doing locally. It is a great place to meet and preview classroom/community partners or guest speakers. Feel free to walk up to speakers when they are finished, introduce yourself and ask questions; that is what they are there for! At the very least, talks are a great way to absorb ideas and inspiration. Maker Faires are dotted with booths filled with excited experts. There is usually a startup area and a maker area, as well as large companies, small companies, nonprofits, special interest groups…all sharing what they make. They are there to talk to you about their projects. Ask questions and engage with them. Let them know you are a teacher and what you teach. If they have a demonstration of some kind, be an active participant in it. Play with their widgets, program their electronics project, drive robots, build a village out of cardboard. The more you engage the community of makers, the more the community will engage with and enrich your classroom. Also, be willing to engage in debate. I actually got in a heated debate one time with a group of fringe space enthusiasts about the best way to inhabit and colonize the moon. I didn’t know half of what they were talking about, but I sure learned a lot and brought some of those issues back to my classroom. Take pictures! Take video! Be sure to document what you are learning to share with those at your school who didn’t get to go. Put a slideshow together and present what Maker Faire was like. But, I warn you on this one…don’t let it get in the way of experiencing things firsthand. A great way to document correctly is to keep the camera or the phone packed away the first time you walk around the booths and displays and then loop back around to take photographs or videos. That way you have an idea of what you want to share with others. This is not to say that you shouldn’t get your phone out to take a selfie with someone famous when you have the chance; just try to focus on being present in the moment. In the end, your documentation could be used for research when writing grant proposals, winning over skeptical administrators and inspiring your students. Take a bag with you! Maker Faire is full of schwag for you to collect. I hate telling you this, but one of my favorite things to do at events like Maker Faire is collect stickers. Stickers plaster the laptop that I am writing this blog post on, as well as my toolbox, my car and my notebook. It is a form of geek street cred. But, stickers are not the only things to collect! Many booths and vendors give away demos of their wares, small project kits, posters, booklets or things that you make and take with you. I still have a block print that I made at that first Portland Maker Faire hanging on my wall. These artifacts are great for decorating your classroom or giving away as prizes to your students. A great way to know what is going on is to track the specific Maker Faire on social media. Twitter is great for real-time or pop-up events going on. Facebook is great for finding scheduled things or seeing who will be at the event. They are also both ways to share and document what you are seeing. A great example of this is that at every Maker Faire Bay Area Adam Savage gives a talk at an unknown location. The best way to know where that location is? Social media. In closing, Maker Faire in a lot of ways started me on my path as an educator and now my career within the open source hardware and educational arena. 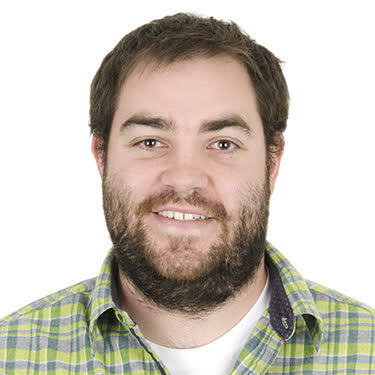 It was a hinge point that made so many things approachable for me and my students. It is also a place where I feel comfortable being around like-minded people who may have interests that are different from my own, but who are eager to share what they make — even if we don’t make the same thing. From an educator perspective, going to a Maker Faire is worth its weight in gold if you can experience it in the correct mindset. Don’t treat it like a conference; treat it like what it is… show and tell. I guarantee you will learn more from a day at Maker Faire than you will at any other educator-targeted conference if you engage with the community. You will never gain the experience from books, or even talking to others individually. 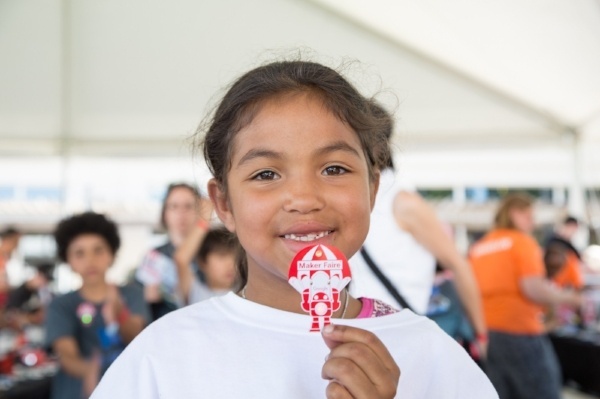 The collection of different ideas and interests is what keeps Maker Faire fresh for me. I leave every Maker Faire with an idea for something to make, a solution to a problem I've had, a bunch of new stickers…and yes, a full stomach! Don't foget to schedule time to visit SparkFun's Autonomous Vehicle Competition at the Denver Maker Faire in October!